Political news website sees double digit growth in June. CNN Politics continues to dominate the political news landscape, as the website claims to have “outperformed all competitors” for the 4th month in a row. According to the network going off of comScore data, the month of June saw CNN Politics strengthen its lead over other online sources of political news in multiplatform unique visitors, views and video starts — including Vox.com, HuffPost Politics, Fox News Politics and Politico.com — as well as enjoying double digit growth across the board. Since becoming the top political news site for digital traffic in March, the website surpassed all others for mobile unique visitors in May and maintained its position in June. The network attributes their June victories in part to their coverage of several key stories, including the Supreme Court’s historic decisions on marriage equality and the Affordable Healthcare Act. Remember this call the network scored on TV? Bet these online video views didn’t hurt their numbers for the month. 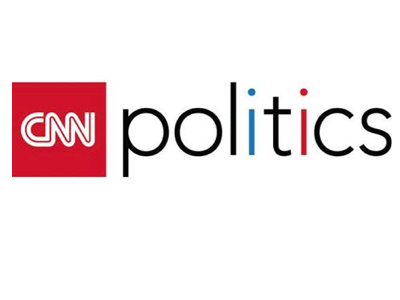 CNN Politics outperformed all competitors in the Politics category in June, besting its own May record by 35% and doubling the unique visitors to Politico.com and Fox News. Sources: comScore Multi-Platform Media Metrix, June 2015. Based on News/Information – Politics Ranker. Taking the top spot from Vox.com for the second month in a row, CNN Politics registered 9.3 million mobile unique visitors for the month. Far outpacing all competitors, CNN Politics registered more multiplatform views than any other political news outlet in June 2015. Sources: comScore Mobile Media Metrix, June 2015; Views are browser only and include desktop video. Based on News/Information – Politics Ranker. CNN Politics’ massive lead in video easily earned it the no. 1 spot again in June. Source: comScore Video Metrix, June 2015. Based on News/Information – Politics Ranker.